What is the difference between the ecliptic plane and Earth’s equatorial plane? Because Earth is slightly tilted on its axis, sunlight strikes our planet at different angles depending on the time of year. 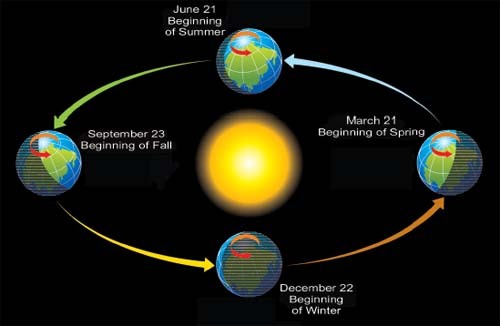 Thus, the northern and southern hemispheres warm and cool at different times, causing the seasons we experience.